This is a sample entry from Tom Dosdall’s newsletter, Technical Ag Knowledge, published on Tuesday, April 18, 2017. 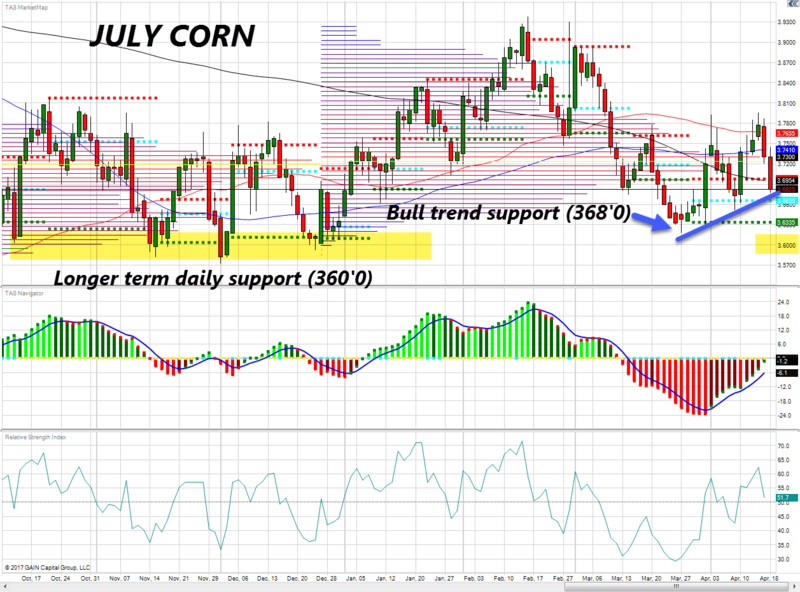 Friday’s bullish Corn close above the 50 day moving average lacked follow-through this week as weather models show drier forecasts for much of the US corn belt. 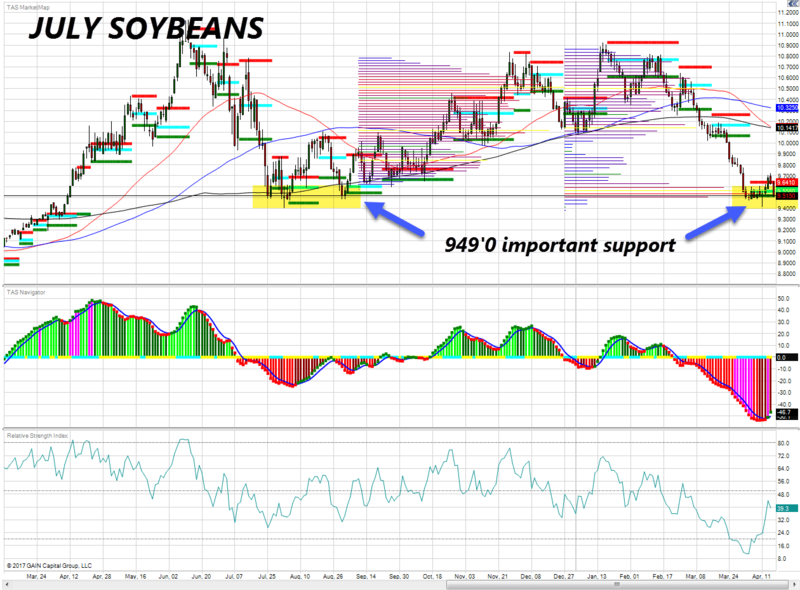 At the same time, weaker than expected NOPA crush numbers yesterday are helping to negate Friday’s bullish soybean breakout and pressure again toward important long term support. Momentum studies indicate support may stand a decent shot at holding here. However, a close below these lines could help to attract additional selling pressure in the short term.